I still think ARIA menus can be used for navigation. But they have to be implemented perfectly, which may not be worth the effort vs. using a bunch of standard HTML links. See https://www.levelaccess.com/challenges-mega-menus-standard-menus-make-accessible/. Some think that ARIA menus should not be used for navigation. They typically cite the following definitions from ARIA 1.1. But these definitions do not say that choices offered by an ARIA menu cannot represent navigation. 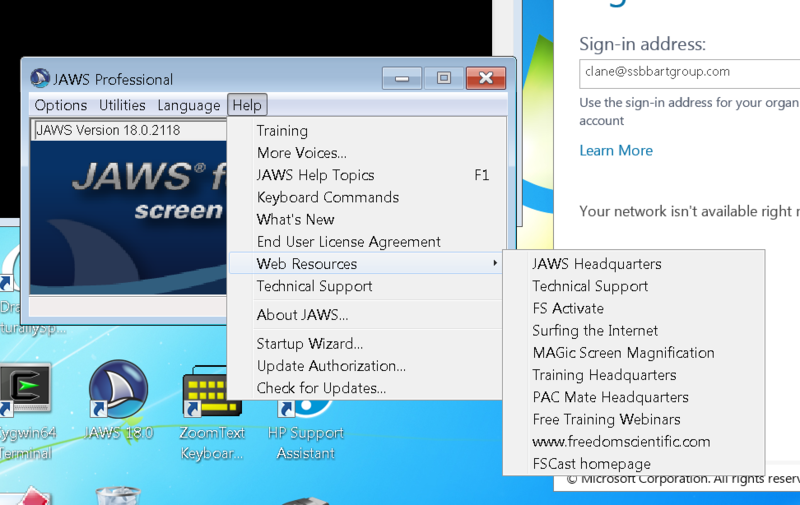 For example, look at the menu from JAWS below and notice the Web Resources option. It opens a sub-menu that performs navigation to several different pages. So it’s my opinion that ARIA menus can be used for navigation as long as they are implemented correctly. See the examples below. Although these examples are ARIA 1.1 compliant this is the best assistive technology support at this time.